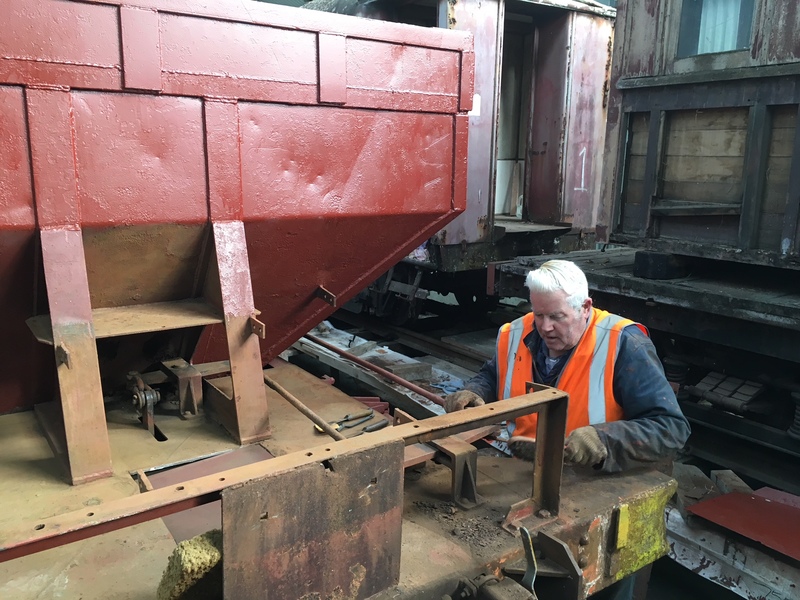 Ron Jones cleaning down steel work on next ballast wagon, part-way through repairs and painting. 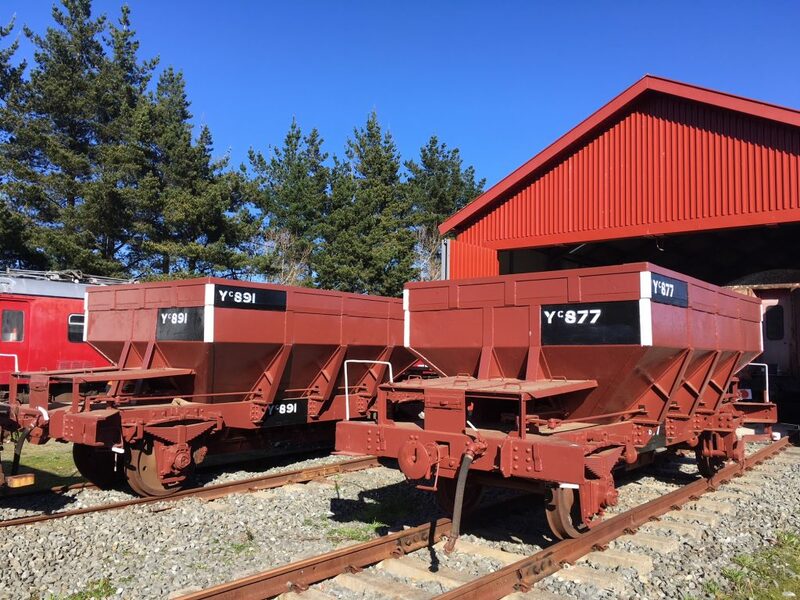 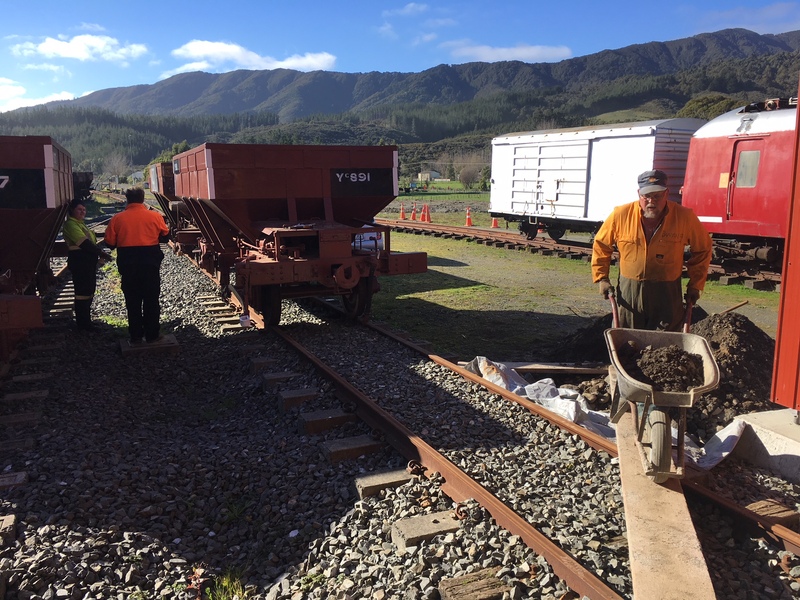 Ray and Lauren fitting brake gear to ballast wagon Yc 891, while Colin moves back fill into shed on 4 August 2018. 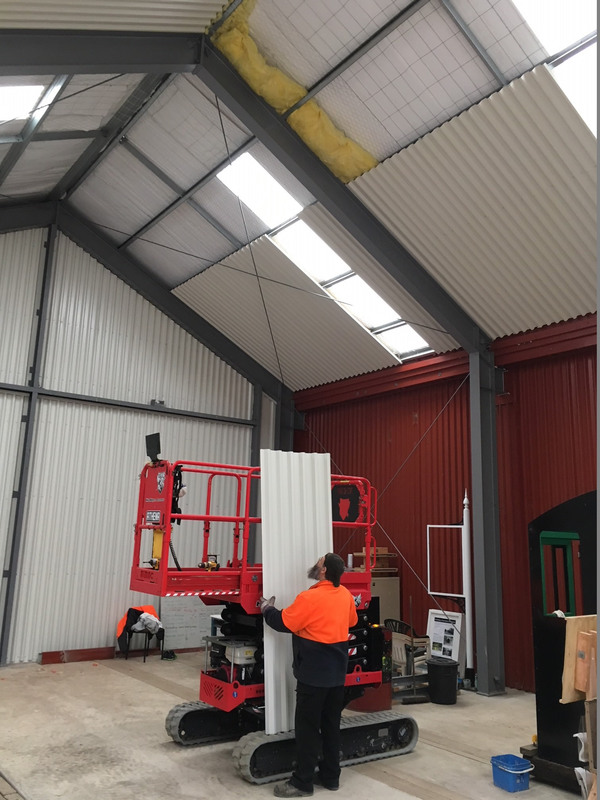 Over four days in late July we hired a scissor lift so we could install insulation and ColorSteel lining to the workshop roof. 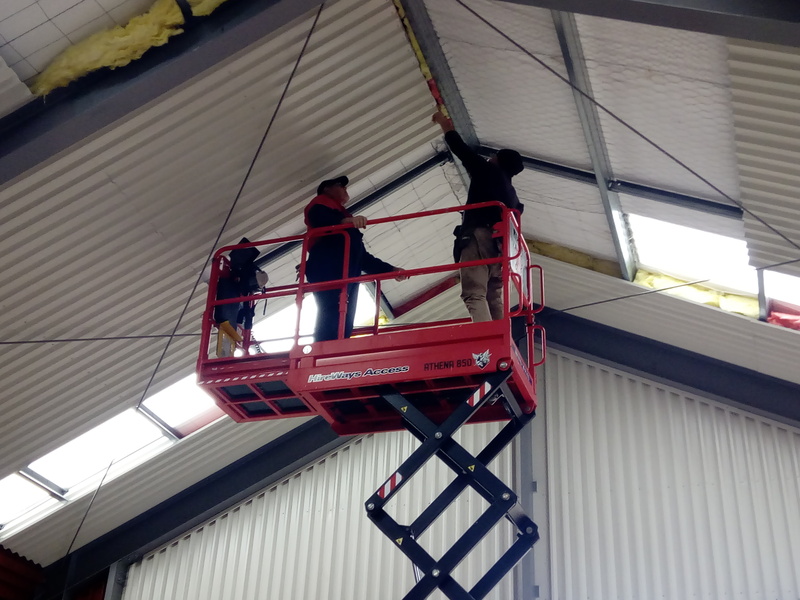 Hugh and Peter working at the apex of the ceiling, part-way through the job. 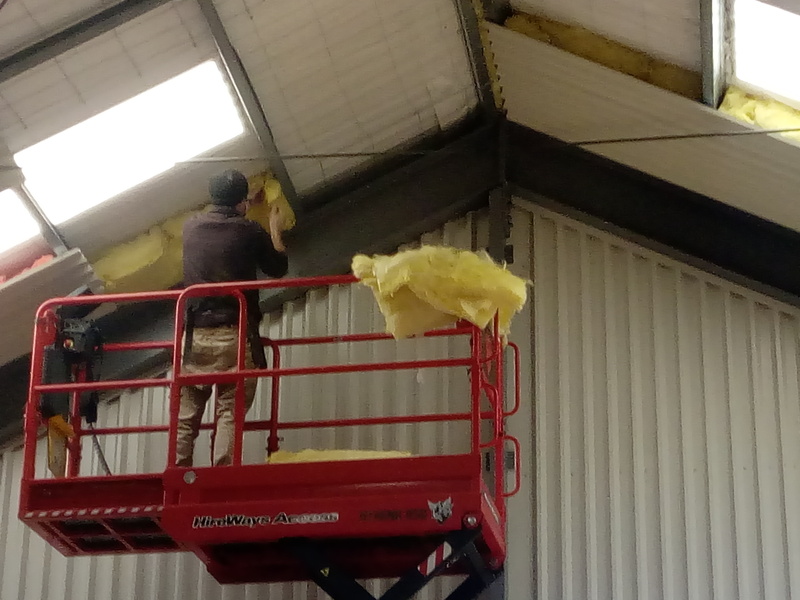 Ray stands by with another sheet of ColorSteel, ready to be lifted and fixed to the ceiling. 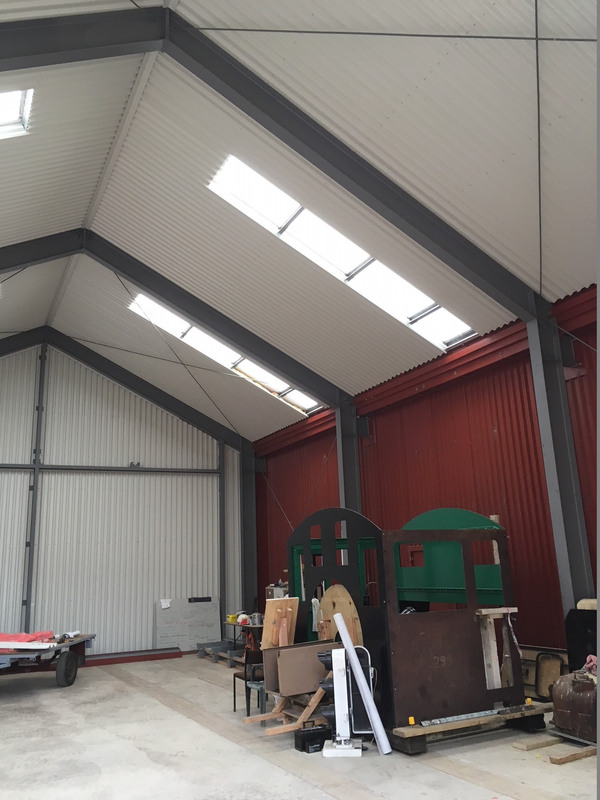 By 28 July we had completed lining the workshop ceiling. 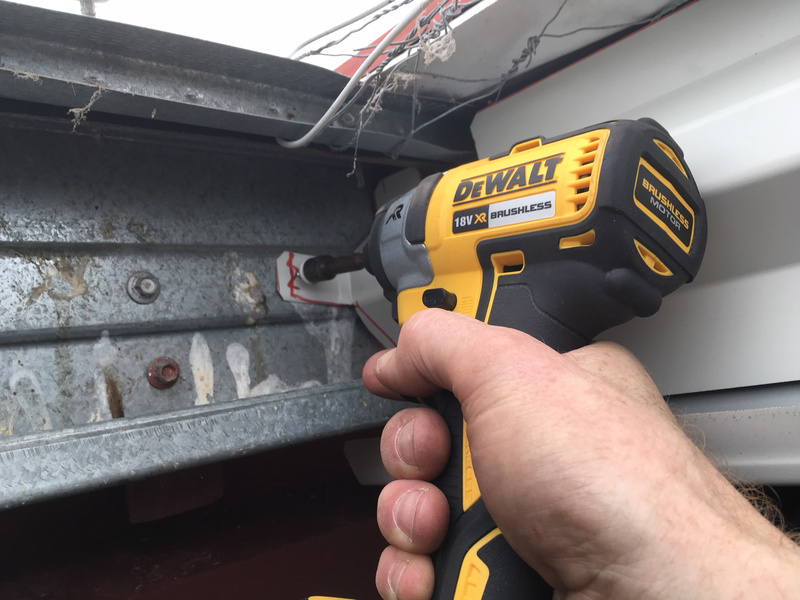 Driving the last tek screw home, finishing the workshop lining work on 4 August. 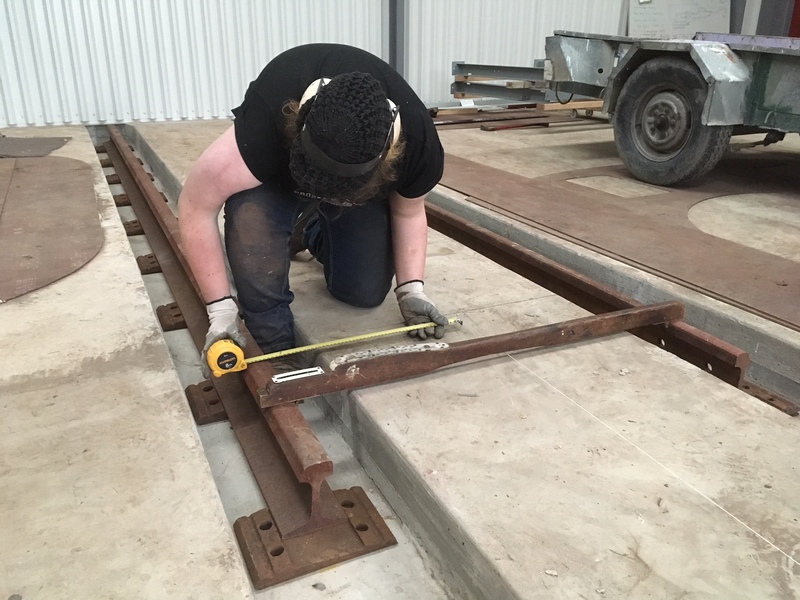 Lauren checking gauge and location of rails, which will be fixed into the workshop floor, and coupled up to road 4 in the shed yard.